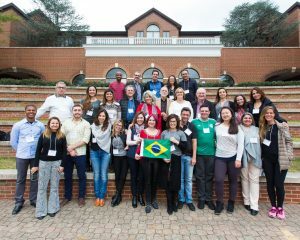 From across Brazil and with diverse professional backgrounds, 25 restorative justice practitioners spent five days in October at Eastern Mennonite University (EMU) — visiting area programs, contemplating practices and pedagogies, and taking inspiration from the witnessing of shared values. “I have courage to continue leading these programs,” said Ivana Ferrazzo, another public prosecutor who hopes to implement a victim advocacy program and to advocate for restorative justice in education. 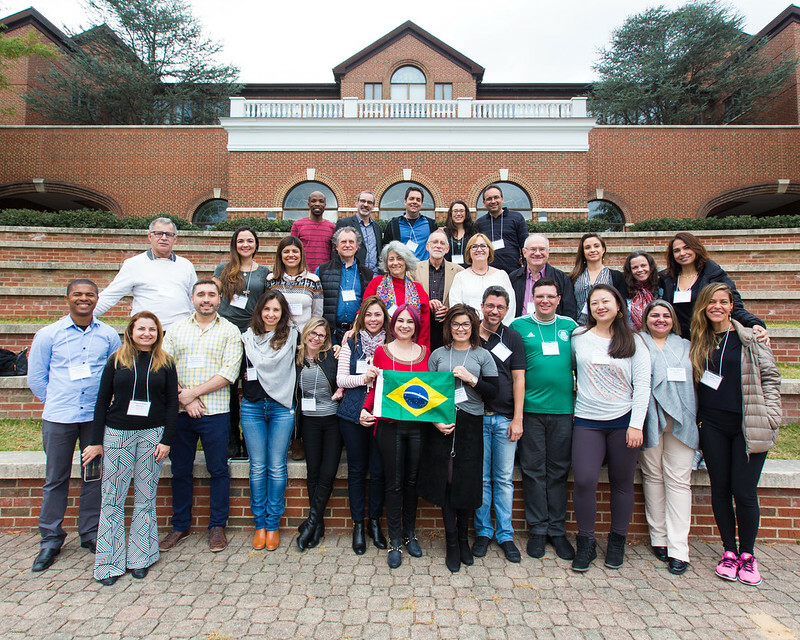 Restorative justice practitioners traveled from Brazil to Eastern Mennonite University for a five-day learning opportunity. All participants are identified at the end of this article. 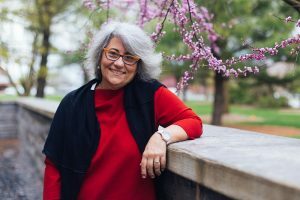 Retired Brazilian judge Isabel Lima, a professor at Catholic University in Salvador, developed the idea for the intensive seminar while she was a visiting professor at the Center for Justice and Peacebuilding in spring 2017. One goal of the educational experience was to bring together diverse practitioners — public prosecutors, professors, community representatives, professionals such as psychologists, social assistants, lawyers and judges — and to “invite them to think collectively from now on,” said Lima, who has been involved with restorative justice since it emerged in Brazil in the 1990s. 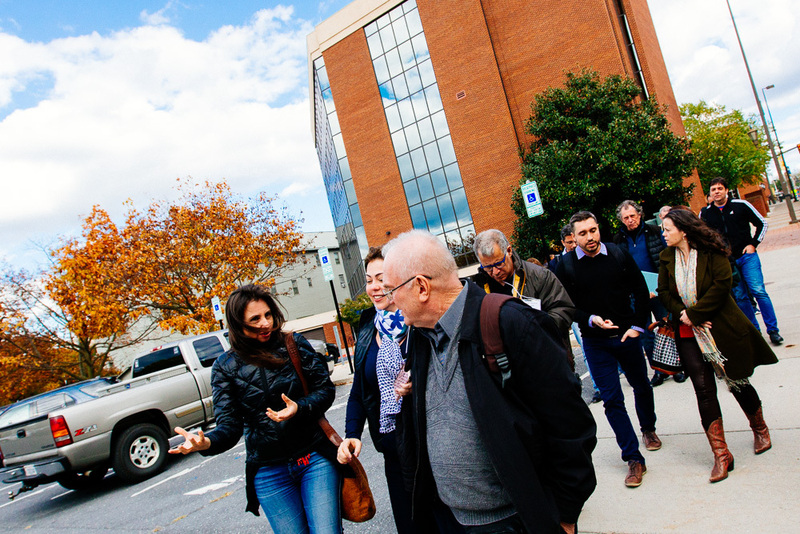 The delegation visited Harrisonburg City Schools, Harrisonburg Police Department, James Madison University, EMU, and the Fairfield Center, among other locations, to explore various applications of restorative justice: in K-12 and higher education, law and criminal justice, community policing and police training, indigenous and transitional justice, ecology and the environment. In contrast to the United States, where a disparate group is driving the widening influence of restorative justice concepts, the Brazilian judiciary has played a key role in Brazil, Lima said. Retired Brazilian judge Isabel Lima, a professor at Catholic University in Salvador, organized the retreat while a visiting scholar in spring 2017 at the Center for Justice and Peacebuilding. Lima is leading the efforts of the group to stay connected through online platforms, with potential webinars and courses also in the works, she said. The Brazil group isn’t the first to travel to EMU to learn about restorative justice. The Zehr Institute hosted an international delegation from Nepal last year and will host a large group of South Korean practitioners in January. Carl Stauffer, co-director of the institute, sees a growing awareness to observe and learn about restorative justice in practice as well as in theory. Front, from left: Altair Honorato Pacheco, Virgínia Rego Bezerra, Mário Augusto Figueiredo de Lacerda Guerreiro, Ivana Kist Huppes Ferrazzo, Rafaela Duso, Danielle de Guimarães Germano Arlé, Jurema Carolina da Silveira Gomes, Eulice Jaqueline da Costa Silva Cherulli, Haroldo Luiz Rigo da Silva, Diego Dall Agnol Maia, Fernanda Yumi Furukawa Hata, Roseli Maria Duarte, Cristiane Castro Mello. Middle: Evandro Gomes Macedo, Daniela Carvalho Almeida da Costa, Gilca Oliveira Carrera, Leoberto Narciso Brancher, Isabel Maria Sampaio Oliveira Lima, Howard Zehr, Fátima De Bastiani, Afonso Armando Konzen, Renata Maria Dotta, Cristina Mulezin Gonçalves, Renata Fernandes de Araújo. Back: Kajungu Mturi, Carl Stauffer, Antônio Dantas de Oliveira Junior, Josineide Gadelha Pamplona Medeiros, Nirson Medeiros da Silva Neto. Not shown: Johonna Turner. Waiting for a new group from Brasiliana…We surely have enough people interested in it! Tenho interesse tanto como pesquisadora da Justiça Restaurativa, como facilitadora dos círculos Restaurativos com adolescentes em conflito com a lei. Sou pedagoga e trabalho com a política socioeducativa a 10 anos. A justiça restaurativa veio somar forças para um trabalho significativo com os socioeducandos.